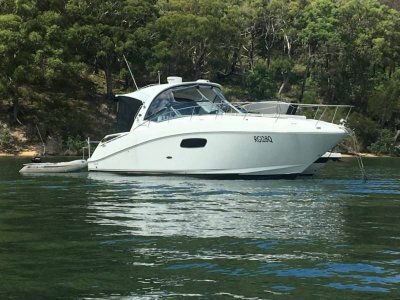 We are proud to present this well kept example of one of Australia's most beloved types of cruisers with a number of custom add on's to make the boat a better cruiser on the water. This one has had the money kept up to it and it reflects . 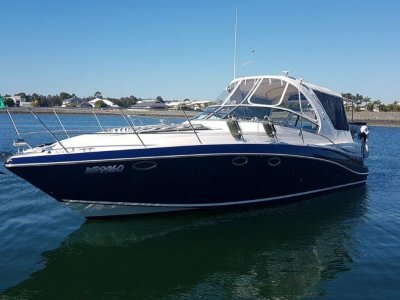 . .
We are proud to offer for sale this one owner 2006 model Mustang 3500 Limited edition sport cruiser offered in exceptional condition and kept by keen boaters. 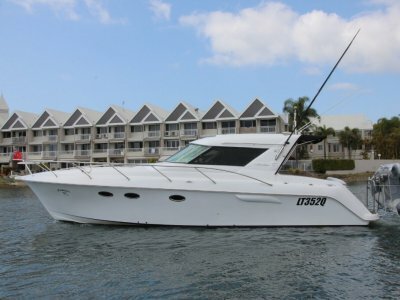 The cruiser is ideally setup for day boating for up to 14 guests and overnight . 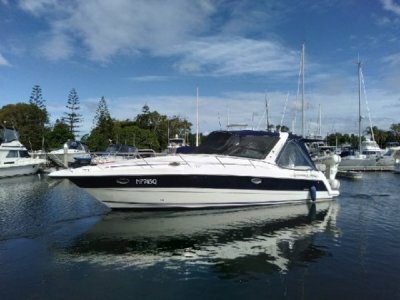 . .
One owner 2006 model which has been serviced by the local Mustang Marine authorised service centre and offers an excellent opportunity to get out on the water at a reduced price! Powered by twin 280hp Volvo Penta duo-prop sterndrives providing . . . 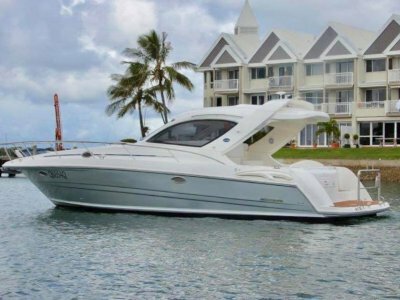 The most frustrating thing that boat buyers are continually subjected to is that the vessel that is displayed in the advertisements turns out to be nothing like the vessel inspected. Not the case with this immaculate vessel which has been . . . 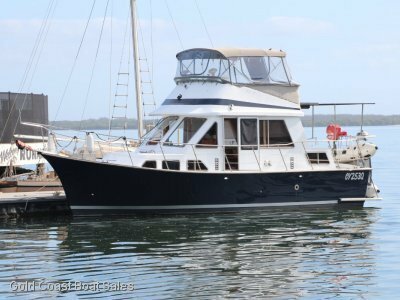 This is a very special aft cabin motor yacht cruiser that has just been out of the water for annual maintenance and has been nicely kept and is a great opportunity for someone looking for an upmarket liveaboard or long range cruiser. Offering a . . .
2006 model with full 2016 Volvo refit with new 350hp Volvo engine/sterndrive package. This is nothing short of stunning if you are looking for one of these type 3800 sport tops this would have to be the best one I have seen on the pre-owned cruiser . 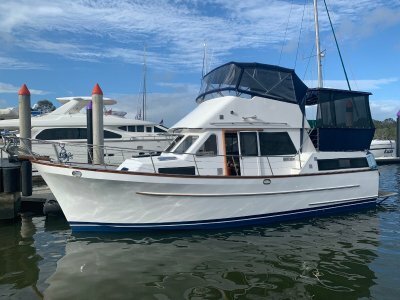 . .
Super Kiwi built diesel hardtop cruiser that has been kept to a seriously high standard by two boaties that love their entertaining, cruising and boating lifestyle. Major servicing has recently been completed for the boating season but due to . . . 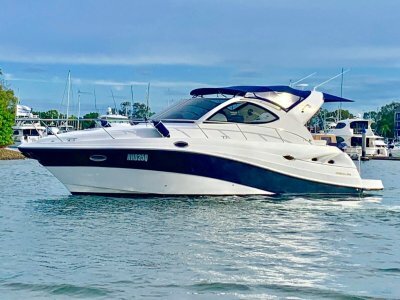 Fantastic hardtop 375 Sea Ray Sundancer sport optioned with upgraded 375hp Mercruisers which are fresh water cooled with 520 hours use providing sterling performance with electronic engine shift controls and a large screen GPS plotter unit at the . . .
2015 Hartley flybridge cruiser with single 330hp Perkins Sabre diesel with 38 hours use. This is a roomy displacement cruiser with sleeping accommodation consisting of a double and four single berths. Good size galley and ideal as a liveaboard or . . . 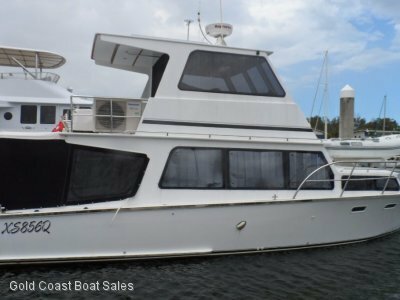 Built in NSW, this well designed 36 foot aft cabin cruiser offers a diverse layout with plenty of livable room and storage for extended stays onboard. Powered by a 1995 Cummins diesel 210hp shaft drive engine which has 535 hours use. Delivering an . . .